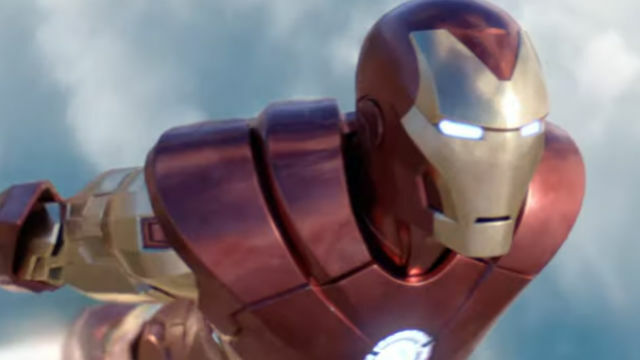 After both Iron Man movie tie-in games failed to impress critics and fans in 2008 and 2010, it seemed unlikely that the armored Avenger would get another chance to headline his own video game. But Tony Stark will make his triumphant return to consoles later this year. Via The Hollywood Reporter, Sony is releasing Iron Man VR, a new virtual reality experience exclusive to the PlayStation 4. Sony announced the game today at its inaugural State of Play livestream event, which unveiled a slew of new video games in development. Accompanying the announcement was a new trailer giving audiences an idea of what to expect from the game. Players will don the system’s VR headset and see the world through the eyes of Tony Stark and his armored alter-ego. Fans of the Marvel Cinematic Universe will surely delight in being able to experience Tony’s iconic heads-up display for themselves. And of course, it looks like gamers will have full command of Iron Man’s arsenal of weapons, including repulsors and unibeam. Judging by the footage shown, it looks like Ghost will be the game’s primary antagonist. Tony’s onboard A.I., Friday, will also be making an appearance in hologram form. This won’t be the first time that Sony has tried its hand at superhero-based VR gaming. In 2016, they released Batman: Arkham VR, which was developed by Rocksteady Studios. That game was criticized for placing too much emphasis on puzzles over actual combat. However, if Iron Man VR’s trailer serves as any indication, this new effort won’t be making the same mistakes. Iron Man VR is still without a release date. You can check out the announcement trailer below. Will you be picking up a copy of the game once it’s available? Give us your impressions in the comment section!